So what is the difference between a llama and an alpaca? If you pay close attention, you might notice that the figurine I use in this video is actually an alpaca instead of a llama. So what gives? The difference that is the easiest to spot between a llama and an alpaca is that llamas have longer, curved ears and alpacas are shorter, fluffier and with short, spear shaped ears. 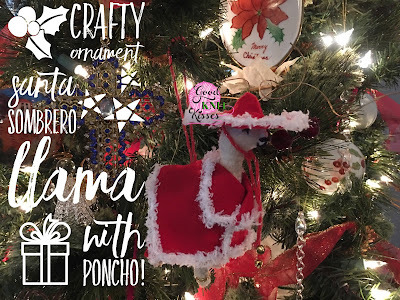 When making this ornament, they are virtually indistinguishable from each other because the hat will cover their ears. 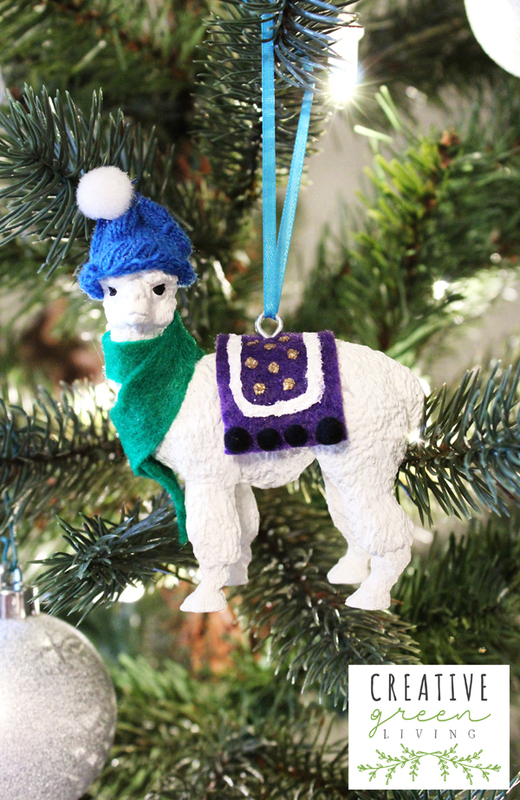 So even if you don't want an alpaca ornament but that's the only figurine you can find, that's ok! By the time you are done, nobody will ever know. If the video doesn't play directly below this paragraph, click here to see it on YouTube. Use the FolkArt Outdoor paint in cotton to paint your llama white. I found it easiest to paint all but one leg (that I was holding onto), then blow dry on low until the paint was dry and then finish painting it, touching up thin areas as needed. Once the llama is white, use the Uni-Posca extra fine tip paint pen in black to color back over the eyes. 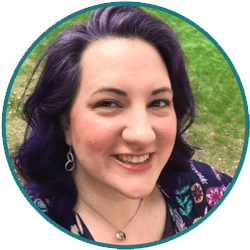 To make a hat, snip the end of a finger off a mismatched glove, rolling up the cut end slightly. Use scrap felt to cut a scarf and blanket. Use tiny pom poms and Aleene's Quick Grab Tacky Glue to add pom poms to the blanket and Tulip Slick Paint in white and gold to add some design to the blanket to make it more interesting. Set the blanket aside to dry. 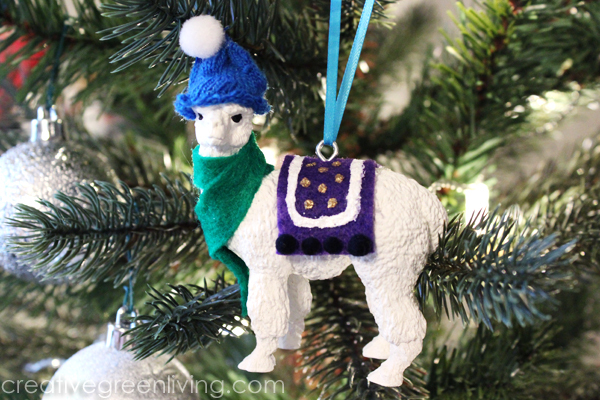 Use hot glue to attach the hat, scarf and dry blanket to the llama. Be careful so you don't burn yourself! Once the glue and paint are all set, use pliers to hold an eye screw and screw it into the back of the figurine. Thread some ribbon through the eye and hang it on your tree! 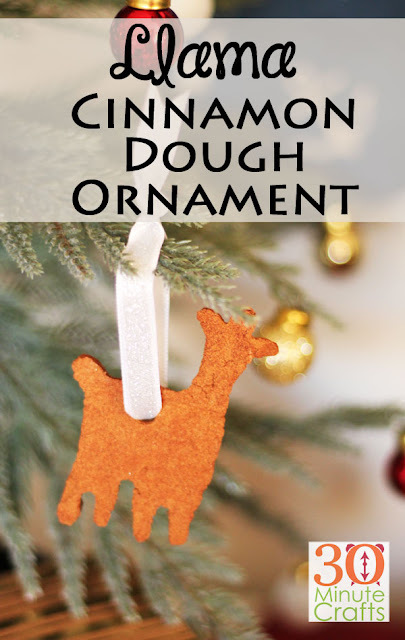 Would you like the printable instructions for this craft? Keep scrolling to the bottom! 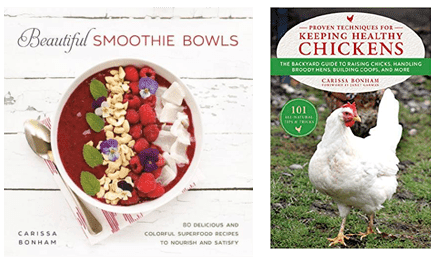 Join us for a llama rama! Llamas are so super fun, so if one llama is good, lots of llamas must be great! 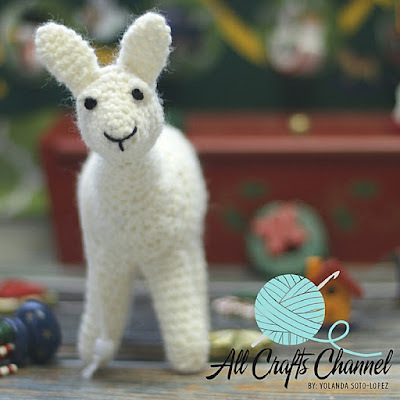 Some of my other blogger friends published their own llama ornament tutorials today. 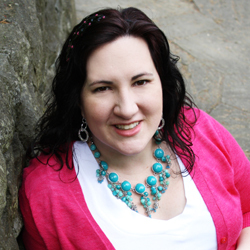 Be sure to check those out below and spread the llama llove. 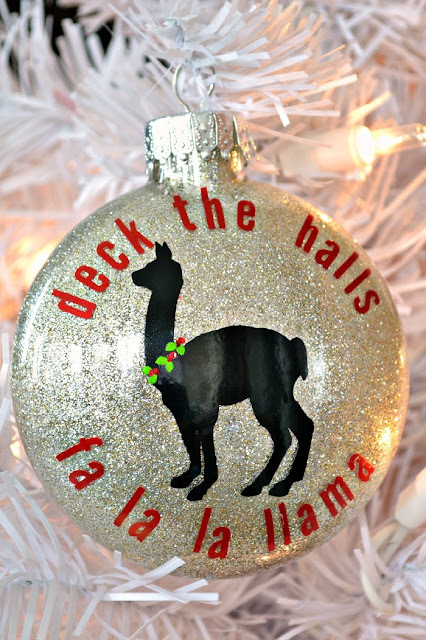 In addition to this great collection of ornaments, I have an entire Pinterest board dedicated to my llove of llamas - including lots of great llama gift ideas. 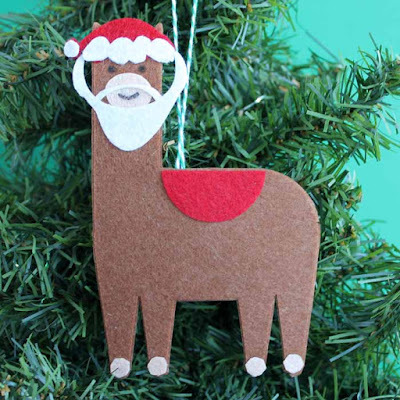 Click to follow and stay updated with all the llama lloveliness.